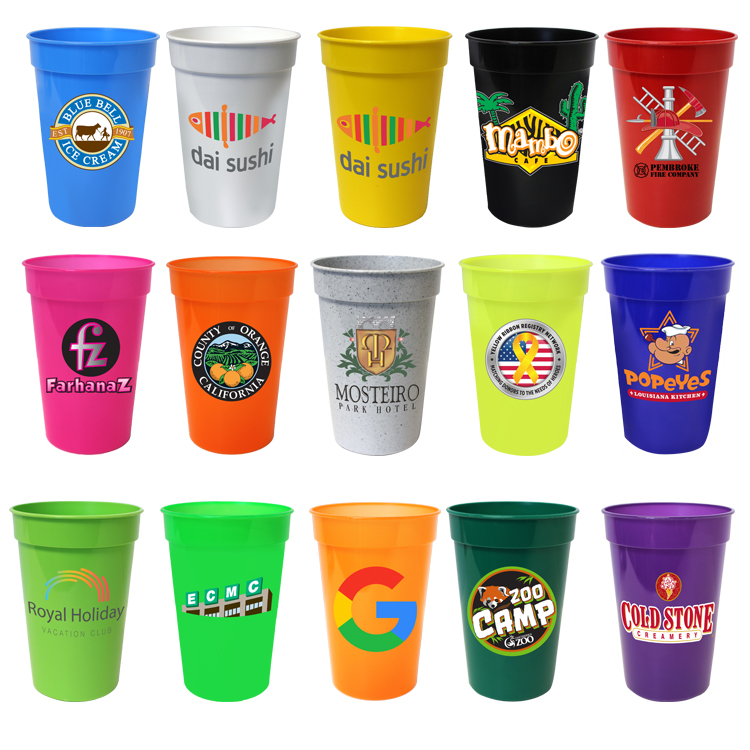 Pricing Includes :	Full color printing using four-color process colors (cyan, magenta, yellow and black) on one side, 2 sides or wrap imprint. Images and type should be in CMYK. Additional art charges will apply to convert colors. Exact PMS matches are not possible. Neon and metallics are not available. Lid Colors :	Standard Lid: Add $.125 (G) per lid, unassembled. Coin Slot Lid: Add $.18 (G) per lid, unassembled. Lid Colors: Frosted only. Both lids have straw holes. Multi-Color Imprint :	Full color digital printing included in price. BPA Free :	All AAkron Drinkware is BPA FREE. For BPA FREE stickers placed on the bottom of drinkware items, add $0.12 (G) per piece. Variable Data :	Call factory for details.